The Republic of Vanuatu is a chain of 83 tropical islands in the South West Pacific, only a 2.5 to 3.5 hour flight from the east coast of Australia. It is an idyllic holiday destination for scuba divers interested in Vanuatu diving, as well as travelers seeking a little adventure in paradise, and offers visitors a wide diversity of experiences. Many of Vanuatu’s islands have been inhabited for thousands of years, the oldest archaeological evidence dating back to 2,000 BC. Europeans first settled the islands in the late 18th century, after British explorer James Cook gave them the name New Hebrides. In 1906, the group of islands was declared a condominium with the British Queen and the French President acting as joint heads of state. As the economy grew the Melanesian people became more active in their own politics and began dreaming of independence. In 1980 the dream became reality with the first President of the Republic being elected and Vanuatu, meaning “our land”, was born. The Melanesian people, known as Ni Vanuatu, are a gentle, peace-loving people, intent on enjoying life's simple pleasures. The native language spoken is Bislama (pidgin English) with English and French also widely spoken. During World War II, the islands of Efate and Espiritu Santo were used as allied military bases. Espiritu Santo now offers divers the amazing SS President Coolidge, the largest, most easily accessible, recreational diving wreck in the world. The Republic of Vanuatu is located in the South Pacific Ocean, some 1,750 km east of Australia, 500 km north-east of New Caledonia, west of Fiji and south of the Solomon Islands. Two of the archipelago’s 83 volcanic islands – Matthew and Hunter – are also claimed by the French overseas department of New Caledonia. The nation's largest town and gateway is the capital Port Vila, which is situated on the island of Efate. Luganville, located on the largest island of Espiritu Santo, is the second biggest town. The highest point in Vanuatu is Mount Tabwemasana, at 1,879 metres on the island of Espiritu Santo. There are several active volcanoes in Vanuatu, including Yasur on the island of Tanna, one of the world’s most accessible volcanoes, as well as several underwater ones. Visitors to Vanuatu will be spoilt for choice when it comes to activities. Choose from a range of action packed adventures or unique cultural experiences to relaxing resort and day spa moments in an idyllic tropical, beachside or lagoon setting. Water activities abound including swimming, snorkeling, scuba diving, kayaking and canoeing, cruising, catamaran sailing, parasailing, sport and deep sea fishing. You can trek over volcanic ash plains to the rim of the crater on Ambrym and peer down into the volcano’s molten lava. On Tanna, you can see the exciting glow of Mt Yasur at sunrise or sunset and even go sand boarding down the side of the volcano. Learn about the traditional way of life of the Ni Vanuatu by participating in a cultural village tour. Ancient ways of living are still practiced today in Vanuatu. A popular excursion is to the island of Pentecost which has become famous worldwide for their ritual of land diving (Nagol or N’gol). The tradition sees men and boys as young as seven jump from a 20 - 40 metre high manmade tower with only a vine tied around their ankle. Land diving occurs on Pentecost every Saturday from April to June. In Port Vila you can find restaurants, bars, pubs, nightclubs, shops and markets selling local produce and handicrafts and island attire. The islands of Vanuatu have a tropical or sub-tropical climate. Winter is the drier season with temperatures averaging around 23°C - 26ºC between April to October. In the wetter Summer season, temperatures average 28°C between November to March. Cyclone activity may occur between January to April. Scuba diving is conducted year round in Vanuatu and the water temperature varies between 24ºC - 29ºC depending on the season. Land diving on Pentecost Island takes place every Saturday from April to June. Diving in Vanuatu is varied and interesting, from the easy protected waters of the marine sanctuary, to shallow reefs, deeper drop-offs and sunken wrecks, all in crystal clear waters teeming with fish life.Port Vila offers a variety of dive sites and a variety of marine life, with running currents bringing in the pelagic species. The landscape beneath the water mirrors that found above: mountainous terrain with plunging cliffs, grottoes and overhangs, huge caves and intricate interconnecting underwater tunnels and chasms formed by frozen lava - and life abundant over all. Port Vila offers divers a range of options and operators to choose from, each of which pick up and return divers to their hotels. Many of the best dive sites are only minutes away. Diving is well supervised and interesting, with several sunken ships in the protected waters of the bay. There is the wreck of the 1874 built sailing ship "Star of Russia", a three masted sailing ship in 36 meters of water. An island trader scuttled in the harbour "Konanda", and the ex-Qantas Sandringham flying boat "Tasman". Further out in the bay is the "Semle Federeson" now sitting in 36 meters plus of water. The 33,000 tonne converted luxury liner, the S.S. President Coolidge, sank during WWII after hitting a mine, and now rests in depths of 21 - 70 metres. The impressive wreck is one of the most exciting and accessible to sport divers worldwide. 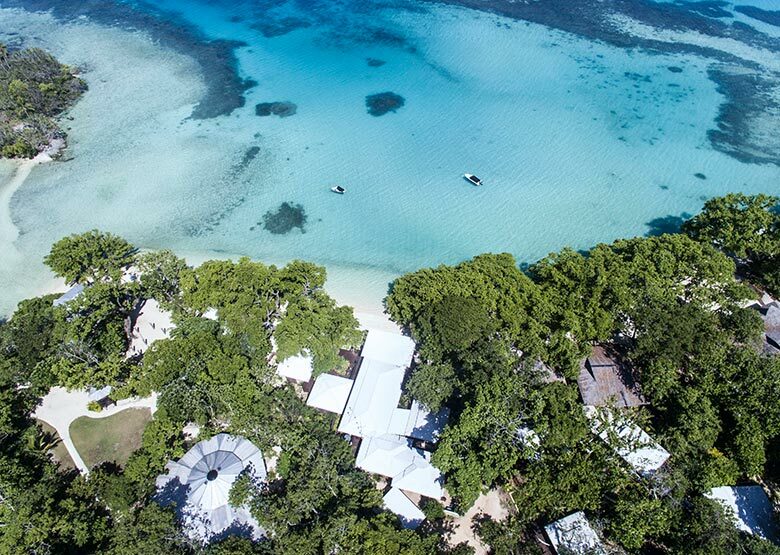 Vanuatu is a ‘Y’ shaped chain of 83 Islands lying 2500 kms north east of Sydney. The islands vary from towering volcanic cones to others covered in dense rainforest. Some are raised coral islands with wide beaches and deep natural harbours. The international country code for Vanuatu is 678. Vanuatu is 11 hours ahead of Greenwich Mean Time (GMT). 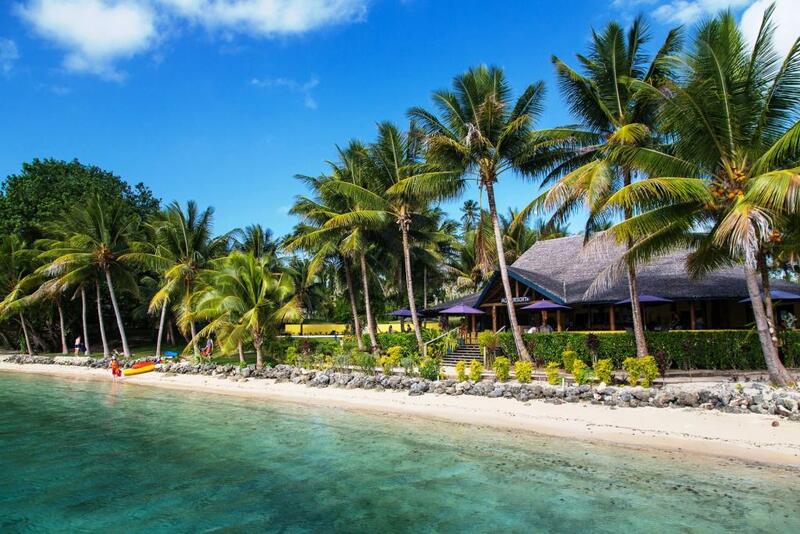 Visitors who are nationals of Commonwealth countries, EU Countries, Fiji, Japan, Norway, Philippines, South Korea, Switzerland and U.S.A. do not need visas to visit Vanuatu. Hospital facilities exist in Port Vila and in Santo. There are no dangerous animals or insects and there is a recompression chamber in Port Vila. No vaccinations are required but anti - malarial precautions are recommended for visits to the outer islands. Remember that some medications can make you sun sensitive, so extra care must be taken to ensure that skin is protected from sun burn. Please check with your physician for the best precautions to be taken. (For further details contact Travel Vax on 1300 360 164). The currency of Vanuatu is the Vatu. Visa, MasterCard and American Express credit cards are accepted at most hotels. The allowance is 200 cigarettes or 250g of tobacco, 1.5 litres of spirits or 2 litres of wine and 250ml of eau de toilette or 100ml of perfume. The climate in Vanuatu is varied. Winter is the drier season with temperatures averaging around 23°C between April to October. In the wetter Summer season, temperatures average 28°C from November to March. The emphasis is on light and casual clothing but not too brief in public places. Swimwear is not permitted in public areas. Remember to cover up at dusk and dawn to prevent mosquito bites. Sun protection is absolutely essential. 220 - 280 volts AC, Plug I – same as Australia. (For further details refer to http://www.iec.ch/worldplugs/). Trading banks are ANZ, National Bank of Vanuatu and Westpac. Foreign currency is readily transacted. Banking hours are 8.30am to 3.00pm Monday to Friday. Bislama, English and French are widely spoken throughout Port Vila. There are 115 ’Mother Tongues’ that are commonly spoken throughout Vanuatu. Traditional ceremonies are maintained in remote areas but Christian influence is predominant. The urban water is safe to drink from the tap. In the tropics it is important to drink plenty of non-alcoholic fluids to avoid dehydration. Most shops close for ‘siesta’ between 11.30am and 1.30pm, except restaurants, cafes, supermarkets, banks and post offices. All shops open Saturday morning. The colorful market in Port Vila operates every day except Sundays for flowers, fruit and crafts. This is a great spot to meet the locals and find many great handicrafts. There is no tipping or bargaining, it goes against local tradition. The diving in Vanuatu varies from the Hideaway Marine Park, the numerous wrecks in Port Vila Harbour and the outer reefs around Vila. Espiritu Santo offers the amazing President Coolidge, the largest recreational diving wreck in the world. Average water temperature is 26°C. A 3mm suit is recommended. Dive operators supply tanks, weight belts and dive guide services. There will be an extra charge if equipment hire is required. A local tax of Vatu 200 is payable at the airport for departure on domestic flights within Vanuatu. 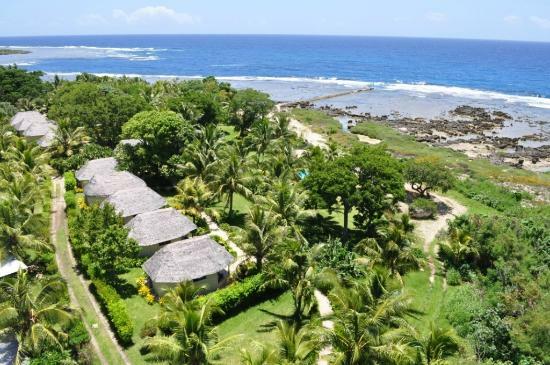 Barrier Beach Resort, Santo "15% and 20% Off Special Offer"
White Grass Ocean Resort, Tanna "Easter School Holidays Deal"
Breakas Beach Resort "Low Season Special"
Hideaway Island Resort, Port Vila "Stay Pay Special"
Aore Island Resort "Year Round Special"
White Grass Ocean Resort, Tanna "2019-20 Bonus Offers"
The Espiritu Hotel, Santo "2019/20 Specials"